BURN BAN LIFTED: Please call 254-933-5555 prior to burning. 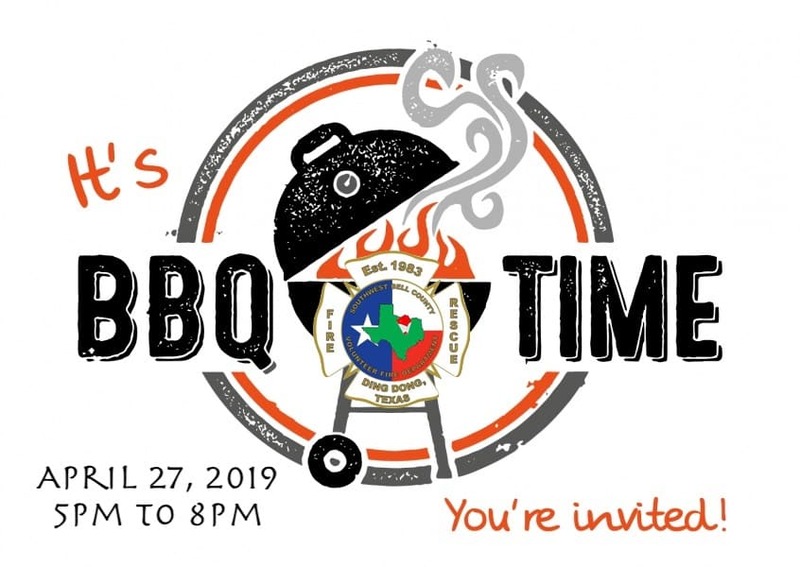 Southwest Bell County Volunteer Fire Department annual fundraiser is on April 27, 2019. Held at the fire station located at 258 triple 7 trail. South of Killeen off Highway 195. Come join us for great food, Lots of fun, and to help support a great cause! We accept new and gently used items as donations for the auction (no clothes or shoes please). If you can not join us, you may still make donations to SWBCVFD, PO Box 10792, Killeen TX 76547-0792. Tickets: Adults- $10 Children $5 (10-15) FREE 9 and under. © 2019 SouthWest Bell County Volunteer Fire Department. All Rights Reserved.